Admired for his incredible range, Chief Cantor Yitzchak Meir Helfgot is beloved and revered as one of the greatest and most important cantorial voices of the 21st century. He enthralls audiences the world over with his passion and unbounded joy in bringing sacred Jewish music and opera classics to life. Holding his first concert for the first time at age 23, Helfgot immediately took the world of cantorial song by storm with his powerful renditions of three renowned classics—Zibert's "Mimkomcha," Kwartin's "Tiher Rabbi Yishmael," and Rosenblatt's "Ad Hena." His magnificent and soulful voice has reigned supreme and captivated the international stage ever since. Cantor Helfgot appears regularly in concerts, as well as serving as guest cantor for communities around the globe—from New York to Beijing, from South Africa to Italy, from Russia to Australia. He leaves audiences spellbound with his masterful renditions of classics by Rosenblatt, Koussevitzky, Kwartin, Sirota, and Hershman, transporting audiences back to the Golden Era of Chazzanut. Cantor Helfgot has collaborated with some of the greatest cantors and musicians of our time, including Cantor Chaim Adler, Jimmy Barnes, comedian Elon Gold, and Itzhak Perlman. In December 2006, he held a solo concert at the Metropolitan Opera House with the New York Philharmonic, its choir, and directed by Maestro Mordechai Sobel. In January 2007, he sang in Madison Square Garden to an audience of 30,000 at Siyum HaShas. In December 2007, he performed at Lincoln Center in Avery Fisher Hall, accompanied by the New York Philharmonic, in a tribute to Cantor Moshe Koussevitzky. He shared a stage with Cantor Shimon Farkas of Central Synagogue in Sydney, Australia, Cantor Yehuda Niassof, and rockstar Jimmy Barnes in August 2009. In December 2010, he performed at the White House during a Chanukah menorah lighting ceremony. He has also performed in distinguished venues, synagogues and concert halls in almost every European city and the world over, including the Warsaw Opera House in Poland, Henry Crown Hall in Jerusalem, and Carnegie Hall in New York City. Cantor Helfgot's recent recording entitled Barchi Nafshi – Bless Hashem O My Soul and his latest album Mevasser Tov have broken Jewish record sales. The public will soon enjoy Cantor Helfgot's unprecedented collaboration with Itzhak Perlman, the world-renowned violin virtuoso, in an album entitled Eternal Echoes to be released by SONY in the fall of 2012. This project blends the masterful zeal of Perlman's violin with Helfgot's powerful voice while they perform their personal Israeli, classical and cantorial favorites that pay tribute to musical tradition and history. 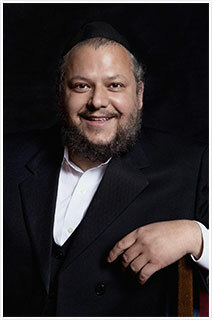 Cantor Yitzchak Meir Helfgot currently serves as Chief Cantor of the Park East Synagogue in New York City, where congregants delight in rapturous Shabbat and High Holy Day services projected by Helfgot's voice of divine magnificence.